A deadly fungal disease has wiped out 90 species of frogs, toads and salamanders and caused the dramatic population collapse in over 400 more in the past 50 years. The disease chytridiomycosis which eats away at the skin of amphibians threatens to contribute to the Earth’s sixth mass extinction unless it can be controlled. Originally from Asia, it is present in more than 60 countries – with the worst affected parts of the world are tropical Australia, Central America and South America. And many species remain at high risk of extinction over the next 10 to 20 years from the disease because its impact on depleted population levels and because those that are resistant acts as reservoirs for the disease. Only an eighth – 12 per cent – of declined species show signs of recovery, whereas two fifths – 39 per cent are experiencing ongoing decline. Of the species affect 124 are suffering severe of more than 90 per cent reductions in abundance. The study was the first to tally toll from the highly virulent fungal amphibian disease and found chytridiomycosis was responsible for the greatest loss of biodiversity due to a disease. Lead researcher Research Fellow Dr Ben Scheele at The Australian National University warned the unprecedented number of declines places chytrid fungus among the most damaging of invasive species worldwide – similar to rats and cats in terms of the number of species each of them endangers. And globalisation and the wildlife trade was to blame for its rapid spread. 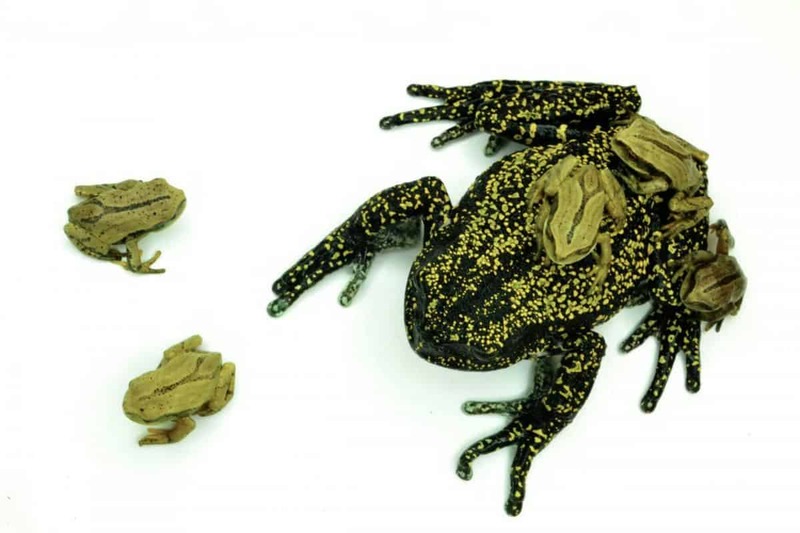 Caused by the fungus Batrachochytrium dendrobatidis (Bd), chytridiomycosis began causing mass amphibian die-off and extinctions nearly 30 years ago, after a pathogenic strain of the chytrid emerged from Asia, likely through the global animal trade. Dr Scheele said: “Highly virulent wildlife diseases, including chytridiomycosis, are contributing to the Earth’s sixth mass extinction. “The disease we studied has caused mass amphibian extinctions worldwide. We’ve lost some really amazing species. “The disease is caused by chytrid fungus, which likely originated in Asia where local amphibians appear to have resistance to the disease. “Globalisation and wildlife trade are the main causes of this global pandemic and are enabling the spread of disease to continue. He noted more than 40 frog species in Australia had declined due to the fungal disease during the past 30 years, including seven species that had become extinct. But improved biosecurity and tougher wildlife trade regulation were urgently needed to prevent any more extinctions around the world. He said: “The unprecedented lethality of a single disease affecting an entire vertebrate class highlights the threat from the spread of pathogens in a globalised world. needed to reduce the risk of pathogen spread. “We’ve got to do everything possible to stop future pandemics, by having better control over wildlife trade around the world. Dr Scheele said conservation programmes in Australia had prevented the extinction of frog species and developed new reintroduction techniques to save some amphibian species. He said: “It’s really hard to remove chytrid fungus from an ecosystem – if it is in an ecosystem, it’s pretty much there to stay unfortunately. “This is partly because some species aren’t killed by the disease.